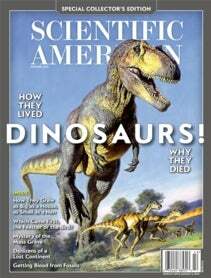 After more than 20 years as a professional paleontologist, I know how lucky I am to spend my days studying dinosaurs. In times when so many people can barely afford the basic necessities, how can I possibly justify using taxpayers' money to study animals that vanished millions of years ago? What can they teach us about today's world? Aren't they irrelevant to modern-day problems?